“The Story of C” is a modern ‘sacred story’, told through classical Indian dance that incorporates thousands of years of understanding of the complex interaction between human beings and the natural world. Inspired by Primo Levi’s dreams in Auschwitz, seven dancers follow the journey of a carbon atom, from its origins trapped in a rock, through deserts, ice wastes, waterfalls and forests till, as part of a vine, it is harvested by humans and turned into wine. “both startling and entrancing, powerful and harmonious, an extraordinary yet natural phenomenon”. How do you strike a balance with your work in UK and Canada? Does it help/hamper you? I am very much based in UK for the past 26 years and have visited Canada only on a few occasions. I have close friendship with some dancers in Canada but have not had chance to work there as yet. In my capacity as chair for the South Asian Dance Faculty at the Imperial Society of Teachers of Dance (ISTD) in UK, I keep close contact with dance teachers in Canada as ISTD run dance examinations worldwide. 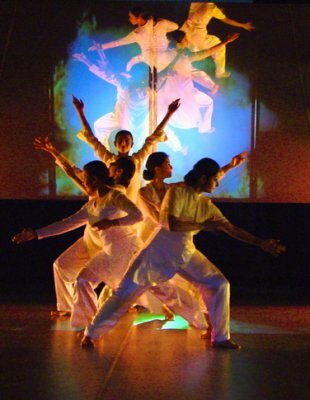 How would you define ‘Contemporary South Asian Dance’ in the UK and Canada contexts? I can only comment about UK as I have little experience of the Canadian context. There is no final definition for the ‘Contemporary South Asian Dance’ in the UK, as it is a continually evolving scene. Contemporary means different things to different dancers. To some it means ‘of this time’ and to others it is an experiment with style or combining different dance styles or working with different music or ideas. So I do not think there can be a definition for this as yet. Do you feel the available dance talent in UK is much more now than previously? There was a time when noted dancer Shobana Jeysingh used to visit India and audition trained dancers to intern with her. But this is not happening any more. Yes, there is much more dance talent available in UK now. Quite a few dance schools are producing dancers of a good caliber and some go on to take up dance as a profession. But there is no established career path and there are financial and job security issues which make many of the talented youth a little hesitant to take up the profession. This is the only reason companies visit India to recruit dancers. How do you explain the current trend among a young generation of Asian dancers in the UK who are taking to outward appeal in their work, with superb lighting and external effects, more athleticism of movement but hardly any palpable internalization…Do you feel they are out of sync with their cultural roots? Each dancer has his/her own individual interest in performance work. Some are committed to maintaining the tradition and style and are working extremely hard towards it while others push the boundaries of the dance style and theme ideas. Use of superb lighting and effects to enhance the production is not just happening in UK but appears to be a worldwide trend. Artists are now more aware of techniques in multimedia that can lend to the production. Everyone tries to make their art mean something to themselves influenced by their own experiences and environment. I am sure there are artists who work in the similar way in India and elsewhere in the world. I do not think it is unique to artists in UK that are out of sync with the cultural roots it is happening extensively in India too. 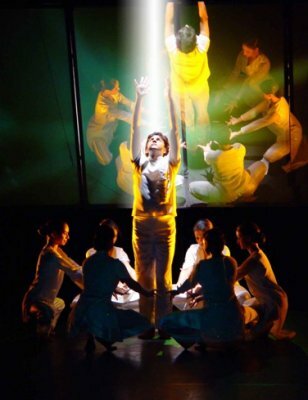 What is your creative impulse behind ‘The Story of C,’ which you will be performing at The Park’s THE OTHER FESTIVAL. Tonie Stolberg, a senior lecturer in science education at the University of Birmingham where Chitraleka Dance Company is based, first instigated an idea back in 2001 for a science and art project based on Bharatanatyam. I was inspired by an essay by Primo Levi, an Italian chemist, who in his book ‘The Periodic Table’ sets himself to imagine the life of a carbon atom. This was he says, his first ‘literary dream’ that came to him during his imprisonment in Auschwitz. I thought about this project on and off over a period of two years exploring ways to bring the idea to the theatre. Finally, when the planning was done, in October 2003 the company undertook a research and development work to create and test-run the production on a regional scale. As the company has a remit in dance-in-education, this subject also provided an education perspective that could be of value to UK’s national curriculum in secondary education. Following the success of the pilot tour, the company launched its national UK tour of the production in the autumn of 2004.